For many people being sick means they suffer some kind of loss of earnings. Statutory sick pay provides just £87.55 per week for a full time employee which for many falls well short of what is required to pay the bills and put food on the table. Even those with enhanced employer benefits are unlikely to get much after 3 or 6 months of being sick and so for many some kind of sickness or illness insurance can be essential. With Sick Pay Insurance, you will keep getting paid even when you are off sick. It kicks in once you have been ill for at least 3 days (depending on your chosen deferred period) and pays out until you return to work or the benefit term expires. For many this gives them the reassurance of knowing should they fall ill their essential outgoings are covered. Complete our quick form below to find out how this new benefit can work for you. 2. Who do you want to cover? 3. How much cover would you like or how much would you want to pay each month? 4. 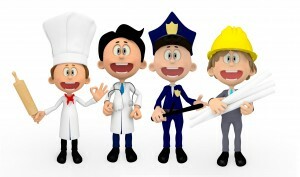 What is your occupation type?